Detailing the physical features, habits, territorial reach and other identifying qualities of the Black-Bordered Lemon Moth. Lemony yellow wings with crisp black accents decorate the small Black-Bordered Lemon Moth. 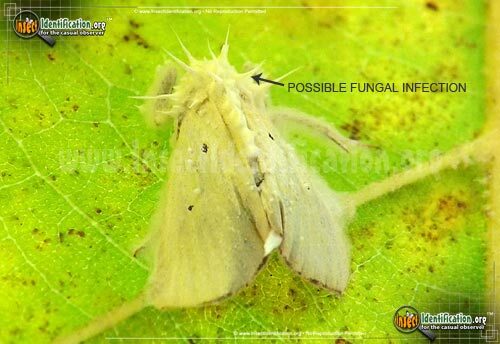 Each bright, yellow forewing of the Black-Bordered Lemon Moth is studded with two small black dots. The bottom edge of each forewing is black. Adults are active from spring through autumn. They are members of the Noctuidae family, the largest group of moths. 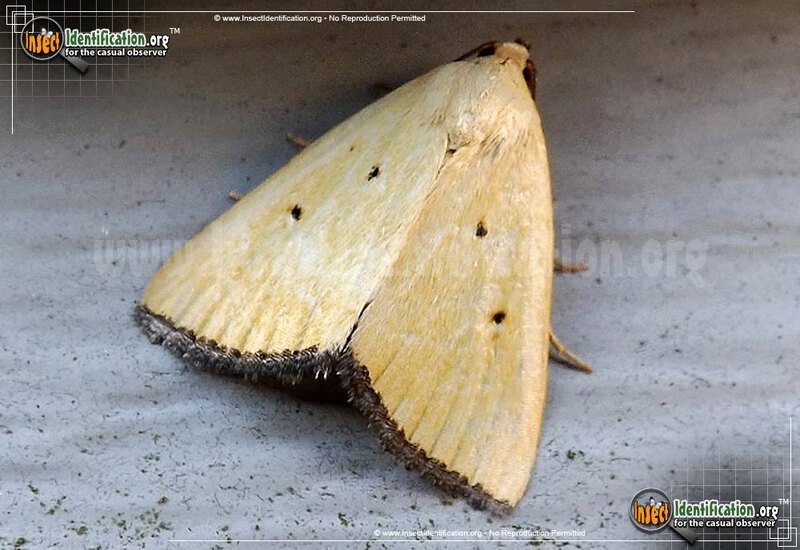 The Black-Bordered Lemon Moth is nocturnal and are attracted to lights. Caterpillars eat the leaves of smooth crabgrass and morning glories, both of which are low-growing plants. Look for them in parks, meadows and coastal areas where host plants grow.